Promotional Golf Clubs – A Promotional Gift That Your Clients Will Love! Golf promotions are benefiting a lot of companies nowadays. People have started getting more involved with the game than ever before. Our Promotional golf products are a great way to please your customers and advertise your company. Logo imprinted golf clubs are some of the most appreciated and useful products to be given away. Naturally, a custom golf club is essential to the game as this is what golfers use to play the game. If you own a sports shop, customized golf clubs would be a great option for you. Customers are sure to appreciate such a useful gift. Our promotional golf products are perfect for golf gift shops, golf pro shops, golf souvenir shops, tournaments, and more. Golf tournaments and meets are being targeted by a lot of organizations because of the clear association with business. Our customized golf clubs will help you outdo your completion. Our promotional golf clubs are one of the best freebies associated with this game. People may neglect using anything, but the promo golf clubs will always be the most sought after. The winners consider it to a virtual trophy, so expect a lot of respect and regard for the custom golf clubs. Get your company’s imprinted golf club selection from The Executive Advertising. We are the cheapest suppliers in the market as we provide very affordable wholesale rates. 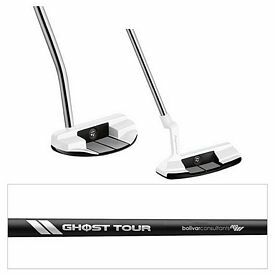 There are also no kinds of setup fees on the logo golf clubs so the promotional investment is very reasonable. 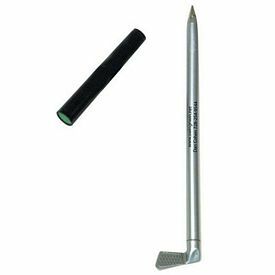 Apart from our excellent custom golf clubs, we have a small golf club novelty pen for smart marketing. This is a fun and unique item and that will surely please your customers. Smaller companies can finally step up and participate in this field as such marketing tools are a boon for them. We take pride in making marketing very easy and affordable for all sorts of companies. Do not be sidetracked by the exclusivity of the products. Golf is a game of comfort and style- something that you can easily work into your promotional campaign. Our customized golf clubs and customized imprinted golf clubs can make a great executive gift that any golf lover will enjoy. 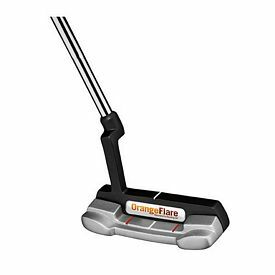 Our Imprinted golf putters and customized golf club covers would make a great gift in combination with our logo golf clubs. Our promotional golf clubs are a must for any company. So start ordering this exclusive range of products from The Executive Advertising!